The Kush Marketplace October event is upon us! Happening on OCT 5th 2018 at the Motif hotel in downtown Seattle, the event will run from 10AM till 5PM. The after party hosted by Top Shelf Marketing will be held from 5PM Till Close at Q Night club on Capital hill. Our events focus on bringing together Producers, Processors, and Retail Buyers together for a day of networking, marketing, and deal making. It’s an industry only event which means Producers / Processors can bring their physical products in personal legal consumption limits and attendees can see, and smell, the love and hard work everyone has put into their products. Though the event is focused on Retail outreach, we do expect a great deal of wholesalers at the event too. To maximize your experience at the event bring all your sourcing/selling needs and rub elbows with the people that can actually help. We’ll have several Marketplace representatives there to help point you in the right direction, and we highly recommend backing up your plan with the online Kush Marketplace. Whether you’re buying or selling wholesale, you should get on the Marketplace and make sure your prices are competitive. Post your product this week to get offers in before the event, or as a buyer keep checking in to make sure your offers are competitive. Another way to get the most out of the Live Marketplace Event is to invite your wanted accounts. The event is 100% free for industry personnel like the budtenders and purchasers at the retail shops you want in. Reach out to any accounts you have struggled with lately or stores that you would like to meet with, and send them the link at the bottom of this page for free registration. We recommend reaching out today to set up meetings during the event. Good luck and let us know if we can help in any way! We provide NOT your average trade show experience filled with handouts, off the street consumers, and no real decision makers present. 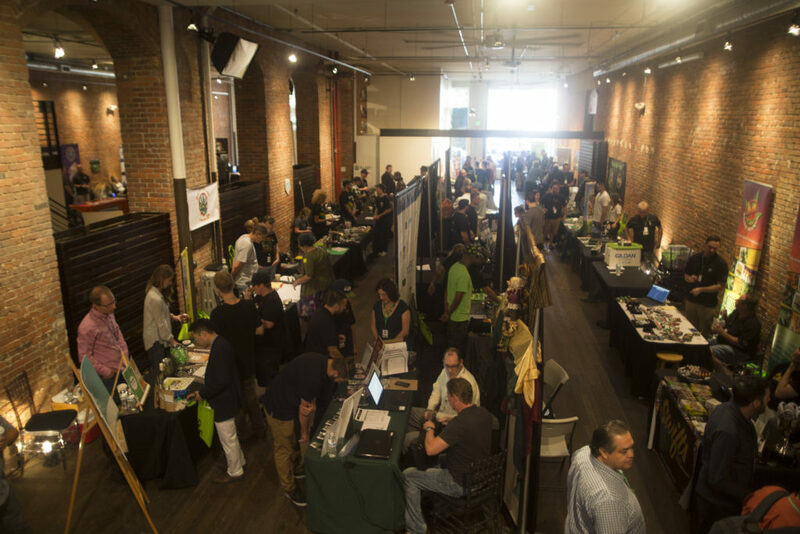 The Kush Marketplace is an industry only, business-to-business event focused on cultivating relationships and closing deals that day! We are sold out on booth spaces for this event, but we do still have sponsorship options available still so if you’re looking to get your name out there without the booth, there is still options left! Contact a Kush Marketplace rep for more details. With 80 vendors in the pipeline and over 100 retailers already registered, this event is slated to be our biggest event to date!